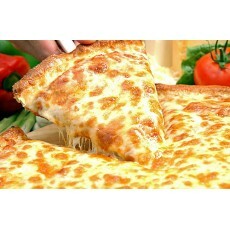 The right mix of mozzarella cheese. 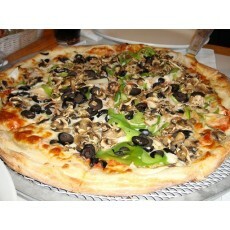 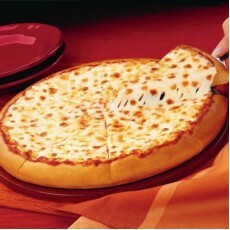 it is the original pizza with loads of cheese any time and all the time Size: 13 inches .. 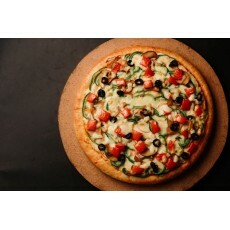 The right mix of mozzarella cheese. 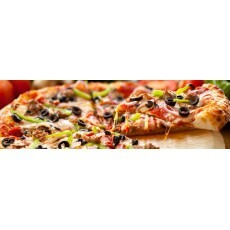 it is the original pizza with loads of cheese any time and all the time Size: 10.5 inches .. 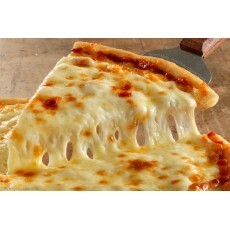 The right mix of mozzarella cheese. 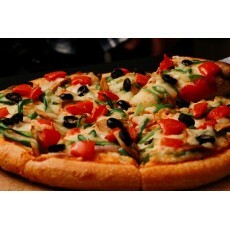 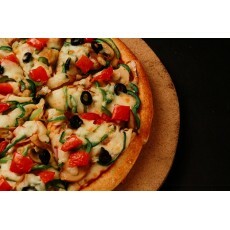 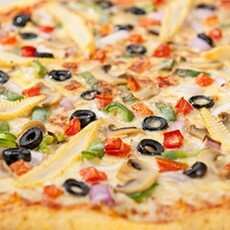 it is the original pizza with loads of cheese any time and all the time Size: 6 inches ..
Pizza made with fresh selected vegetables blended in fresh onion,mushroom,capsicum,tomato and black olives Size: 13 inches ..
Pizza made with fresh selected vegetables blended in fresh onion,mushroom,capsicum,tomato and black olives Size: 10.5 inches ..
Pizza made with fresh selected vegetables blended in fresh onion,mushroom,capsicum,tomato and black olives Size: 6 inches .. 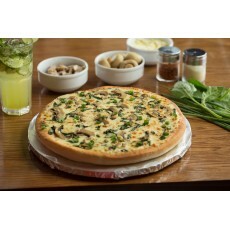 Spinach Alfredo pizza is flavored with garlic butter and a creamy alfredo sauce and topped with diced Baby Spinach and Basil Details: Spinach Alfredo pizza is flavored with garlic butter and a creamy alfredo sauce and topped with diced Baby Spinach and Basil ..
A special selection of freshly prepared topping including savory onions,baby corn,green capsicum,diced tomatoes and mushroom topped with two layers of mozzarella,jalapeno and black olives Size: 6 inches ..
A special selection of freshly prepared topping including savory onions,baby corn,green capsicum,diced tomatoes and mushroom topped with two layers of mozzarella,jalapeno and black olives Size: 13 inches ..
A special selection of freshly prepared topping including savory onions,baby corn,green capsicum,diced tomatoes and mushroom topped with two layers of mozzarella,jalapeno and black olives Size: 10.5 inches ..